Chain maintenance, you know the drill, soak the chain, scrub the chain, lube the chain. It's a dirty job but somebody's got to do it. Well the job is a whole lot easier and cleaner- with the Grime Minister Chain Brush. 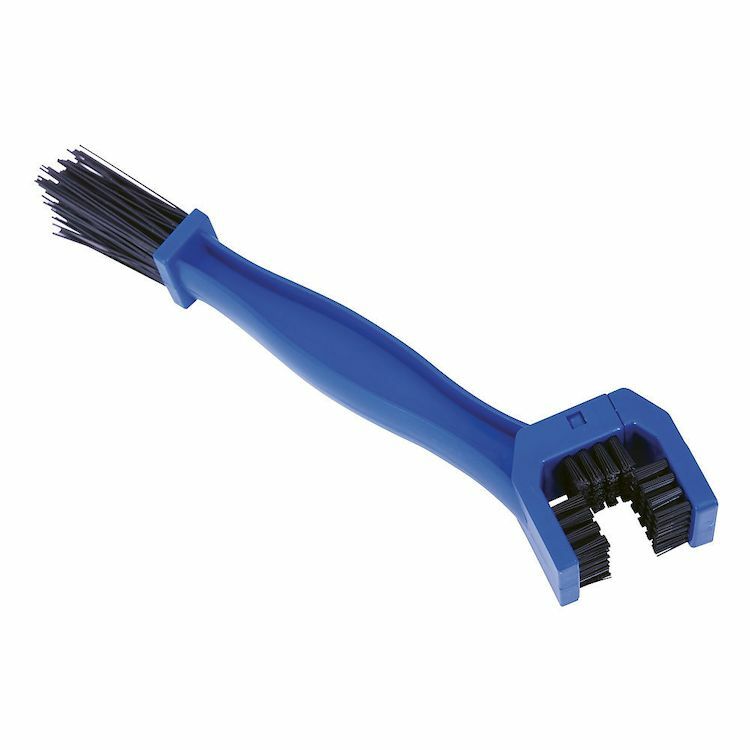 Precision shaped polymer bristles reach deep into the hard-to-get places to ensure your chain is debris free. So brush it down and lube it up we've got some ridin' to do!